“The main theme for October is INNER STABILITY AND BALANCE, ‘inner’ being the operative word. “It is time for us all to stop looking for stability from an outer source and begin to experience it within ourselves by focusing on our own inner strengths, talents and trust. “Our inner experience is what informs our outer experience, so by practicing inner stability and balance, we are not only advancing our own personal growth, but being of service on the planet at the same time. “Instability, both inner and outer, are important during times of great needed change. But there are also times where one needs to regroup and take a breath and let things settle. “I almost called the theme of the month ‘The Settling’ but it sounded too much like a horror movie, so I opted for something more acceptable, but you get the idea. “Fortunately, this month we do get a bit of a break from the intensity and this allows us to remember who we are, what we are about, and where our balance and stability really comes from. “To recognize the truth of this, we must go inward and allow what can be settled to settle. “There is an opportunity for the unsettled to feel settled and for inner stability to be supported by that settling as long as you can release any attachment you may have to witness things being settled out there in the world. “Inner stability is built through strengthening your personal grounding with the earth and establishing stronger connections with sources of knowledge, wisdom and power that do not come from other people, their whims, judgments and reactions. “We all have expectations about how others should act and how we should be treated, supported and met. In these times, if you are looking for stability and security from the outside, you may have to wait awhile. “There is no better way right now to serve yourself and the planet than building and anchoring your own sense of security and stability within yourself. “What can you trust? You can trust your own truth. You can trust your own wisdom, talents, ability to choose, to love, to create, to eliminate, to dream and to set intentions. “Anything you are attached to that is external can be taken away. This can cause tremendous insecurity and you will continue to experience instability and worry that will keep you from being grounded and focused. “It is best this month to focus on an inner stability and security by grounding to the earth and accepting that you have tremendous inner strength, wisdom and ability to create. “There is always help from the inside and from unseen sources but you have to trust it. “It is a great month to work with your intuition, your guides and allies, to trust your inner knowing and to have the courage to show up authentically. “Balance is addressed from a number of angles. The balance between being and doing, the balance between the masculine and the feminine, narrow focus and big picture perception, giving and receiving, asking and accepting, energy output and times of recharge and many more examples. 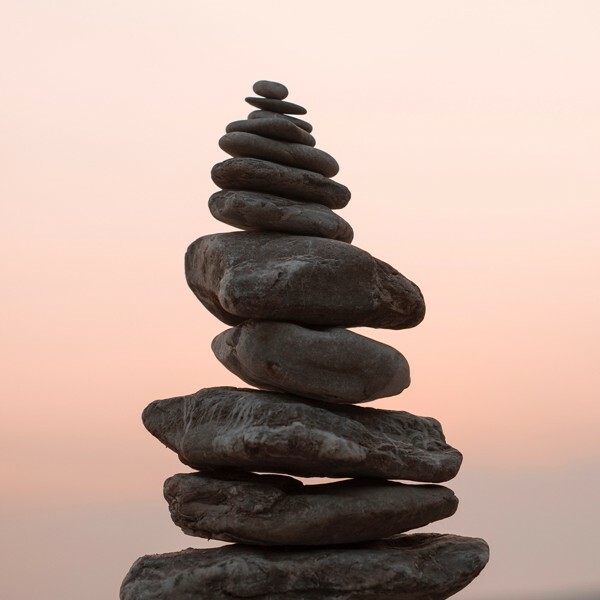 “Most of us have something out of balance in our lives, and as this settling opportunity presents itself this month we can make sure that things settle in a more balanced way. “This will require telling the truth about what is out of balance and accepting personal responsibility for creating more balance. “After all, it is your life and no one is going to hand you balance on a silver platter. You have to recognize what you need, ask for it, be committed to it, and set good boundaries around that commitment. “In a way, we are still working some with the adjustment theme of September since what you decide you need for your own inner balance may require others to adjust to that commitment. “Some of you are imbalanced towards doing too much and some of you are imbalanced in the area of not being able to take action. “It is helpful to observe where you need more balance and pay attention to the being vs doing dynamic. “You need to spend some time in the ‘being’ mode to support the settling. The more you can embrace ‘being’ in your life, the less resistance, impatience and irritation you will feel. “There is a flow to this month and it is best to get on it rather than paddling up stream. “There is also the balance between the three centers, intellectual, emotional and moving. One of these is your primary operating system, one derails you and throws you out of balance, and one can bring you back into balance. “This order is different for everyone and it is helpful to know what yours is so you can work with it as a tool for balance. “How you work with this month will influence how you experience the next few months which can either be really positive or really challenging. So, make it count! “Speak your truth, voice your needs, show up, take a deep breath, regroup, refine, receive, have fun, be delighted, be in wonder and awe, love yourself, relax a little, be courageous and try new things, have compassion for others and take care of your body. This is the prescription for you personally this month. “As you become aware of what is out of balance, beware of self judgement and don’t waste energy on guilt, shame or blame. “Just choose something better for yourself and commit to it. If you have been putting off having a break or doing something fun, go for it. “Enjoy your friends and loved ones and appreciate community however it shows up. It is a good month to reach out to others and to receive the gifts of friendship, collaboration and support. “Find your inner humor, inner creativity and inner expression. These all make up part of your foundation of inner wisdom, stability and balance. “Everyone has a unique gift and talent they bring to this life. Just ‘be’ it. “We could say that this month provides an opportunity for you to become more of yourself, more connected to your essence and spirit than ever before. “Relationships are always a platform through which we learn, grow, handle karma and fulfill our agreements. “This month can be very exciting for relationships as they become the glue that helps us to experience what we need to in our striving for balance and stability. “The relationships that support us in a good way will be strengthened. Relationships that resist, resent or react badly to our choices to take care of ourselves, should be reconsidered. “It is however a great month to build new community and to get involved either with new relationships or new involvements with existing relationships. “Since this is a very creative time, creativity, fun and good social interaction should be a part of what you hold in your intentions for relationships this month. This is the positive aspect. “The more challenging aspect of the month will be letting go of attachment to your expectations of security and stability from others and embracing a willingness to move on from relationships that simply do not serve you anymore. “This is an excellent month to focus on balance in the body. “Get some physical, emotional and energetic help though acupuncture, massage, body work, energy work and anything that can support alignment, grounding and balance. “You have the opportunity to feel ‘well’ and to experience wellness that goes beyond just the physical. “Part of the discipline is to practice gratitude daily and to receive the higher vibration of beauty, nature and the wonder of this universe. “If we only focus on what needs to be ‘fixed’ or ‘healed’, we are not acknowledging what is presently vibrant, robust, vital, perfect and available as an energy to each one of us. “Pay attention and be present with your breathing and feel each breath as it is capable of bringing in much more than just air. “Breathe in the quality of beauty, the nourishment of nature, the wisdom of the stars, the vitality of the sun and let the oxygen feed every cell in your body. “This is really about being present and proactively receiving what you need. “It is also very important to turn our relationship with our body away from anxiety, worry, resistance, shame and blame, to one of joy. “Bring in the field of joy, breathe it in, play, dance, enjoy and have fun. Be creative. Get some new clothes, change your hair, wear some different accessories. Think color, beauty, and self-care. “The Huichol culture in Mexico believe that each person is like a unique flower on the planet to bloom their beauty fully, just because they can. “This is a time to let ideas and what is showing up to settle. Beware of the mind trying to second guess or impose its rational thinking on what is showing up, making hard action plans before their time. “In any project or partnership, the balance is between allowing and guiding, being active and being receptive. “Watch impatience, don’t be impulsive and make sure to give any new direction or idea plenty of time to show up as the right thing. “If it is right, it will be effortless and all the support you need will just show up. If it is not right or if something is out of balance, it will be very clear and evident where change needs to be made. “It is OK to say no if something does not feel right. Use your intuition and ask if it is right for you. “It may be right for someone else and be a viable part of their balance and stability but maybe not for you. This is speaking your truth. “At the same time if you think you have a great idea that you wish others to support, there may be some that say no and you will need to accept and adjust and allow them to have their truth as they experience it. “This is also a good time to reflect on old projects and to let go of the ones that never really got off the ground. Complete what you need to and move on. “Once you release the energy you make room for something new. “The environment continues to support what we as a collective in our own evolution need to experience at this time. “The eccentricity and unpredictability of weather patterns will continue although the intensity may be less this month. “Resourcefulness emerges as people show up to rebalance what has been thrown off balance in a new way. “Rebuilding an environment should always have the option of being done in a new way with new ideas, energy and improvement. So accurate and relevant… thank you! Thanks and love…what powerful medicine you’ve shared with us!!! Very much what I needed to hear at this time. Thank you for the loving guidance. Very helpful. Thank you MM for posting. Ahhhh…so vitalizing. Thank you so much for your wisdom! you mention the three centers: intellectual, emotional, and moving. What is the moving center? Beautifully on point thank you for your love and guidance ! Thank you so much for this timely guidance. It is so spot on. Amazingly, it also correlate with the Chinese astrology as from 8th October, it is the official start of the Earth month, marking a 3-month period of ‘letting go’ phase (which is represented by metal). This is certainly the time for settling, to go inward and transmute them into something that will nurture us as a being moving forward. Energy does not have boundaries, they are all connected. Super stoked! Precisely what I have been sharing with my clients. As well as, truly grounding ones Root chakra & balancing the others. Thank you! Blessings! EXACTLY what I needed to read as I am expanding into a Columbia, SC from St. Augustine…expanding north, and allowing my business and relationships to expand as well! Totally awesome,thank you very much Lena,I have been doing this for a few months now, really love living my truth. I’ve done the new hair style, met lots of new Peruvian people and maybe going to Peru next year. I’d recommend it for everyone. Thank you! Thank you! Your messages are always at the right time of what I’m experiencing. It’s truth to my soul.